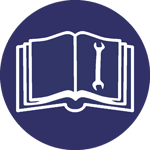 Here is a list of manuals for key equipment models in our MicroBlasting systems. Not all are listed here. If you cannot find the manual for your particular model, please contact our Technical Support team by completing the Contact Us form below. If you have a different model AccuFlo (see list below), please contact Technical Support to acquire your specific manual.